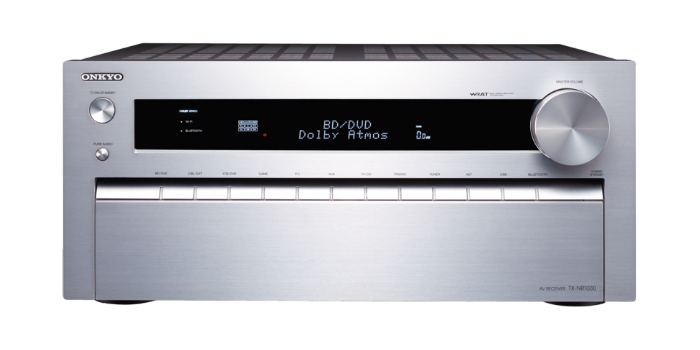 and dual 32-bit DSP engines provide a solid foundation for Dolby Atmos®, the revolutionary surround-sound format adding a new dimension to movie soundtracks. Balanced front XLR and 11.4-multichannel pre-outs and 8-in/3-out 4K/60 Hz HDMI® 2.0 terminals supporting HDCP 2.2-copy-protected 4K internet video provide ultimate connectivity for your future-ready home cinema. while Pure Direct Analog Path puts soulful analog sound right up there with dedicated hi-fi amps. ISF video calibration, and smartphone control in every zone. *1 HDCP 2.2 is supported on HDMI Input 3 and Main Out only. *2 Availability of services depends on region. Some services may require a paid subscription and firmware update. Availability of third-party services advertised here is accurate at the time of publication, but may be subject to change without notice. *3 LPCM is supported via DLNA only. *4 Compatible with iPod touch (3rd generation or later) and iPhone 3GS or later. All models require iOS 4.2 or later. *5 Requires Android OS 2.1 or later.